If you’ve got asthma, there’s a good chance your body produces too many of them. Is a powerful combination of Omega Oils derived from the Earth & Sea that naturally relieves Asthma symptoms. Dr. Floyd H. “Ski” Chilton is a respected research scientist widely recognized in academia and industry for his work on the role of fatty acids in human inflammatory diseases. In the early 1990’s, it was known that one of the main culprits in causing asthma symptoms was leukotrienes, so Dr. Chilton and his colleagues set out to find a way to control leukotriene production through diet. They conducted clinical tests on combinations of fatty acids and after seven years of research found the combination that could most effectively help those suffering from inflammatory diseases like asthma and allergies. They discovered that a unique combination of two essential fatty acids found in nature, GLA and EPA, in the right amounts and ratio can significantly reduce the production of leukotrienes giving relief to allergy and asthma sufferers. OF ASTHMA SUFFERERS REPORTED A SIGNIFICANT IMPROVEMENT IN THEIR QUALITY OF LIFE. OF ASTHMA SUFFERERS REPORTED SIGNIFICANTLY FEWER LIMITATIONS ON THEIR PHYSICAL ACTIVITIES. 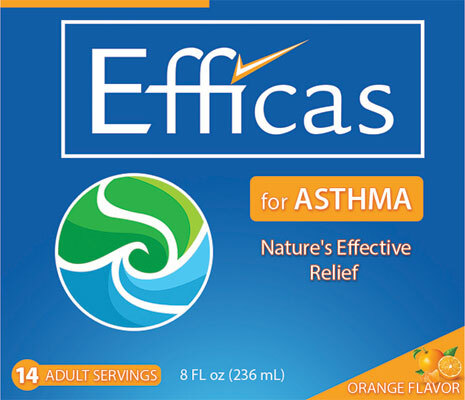 Efficas for Asthma Practioners Reference (PDF). What symptoms are you experiencing; how frequently and how severe? Have your symptoms changed recently; if so, how so? Do your symptoms prevent you from doing such normal activities as sleeping, working, going to school, housework, or yard work? By answering these questions for yourself, you’ll be able to assess how well your symptoms are controlled; then, when the time comes to discuss your treatment plan, you will be able to give the healthcare professional information that has been thoroughly thought out.